What a sad way to be remembered. A person unable or unwilling to tame their tongue. What legacy do we want to leave? Being one who built others up with their words or one who tore people down? One who brought grace and healing or one who brought pain and heartache? One who lifted the name of Jesus or hindered the testimony of His name. We are not to bless AND curse. We are only to bless. Before we open our mouth, let’s ask the question… “Will this bless God and the person I’m saying it to?” If the answer is “yes,” say it! If the answer’s not—don’t say it! If an epitaph of my words was written, what would the epitaph say? what might it be saying about your heart? Who is someone you could bless this week with your words? On Sunday, we said we need to “T.H.I.N.K.” before we speak. Write down the acronym on a piece of paper and keep it with you throughout the day and refer to it as you think about your speech. If you have hurt someone with your words, go to them this week and seek forgiveness. 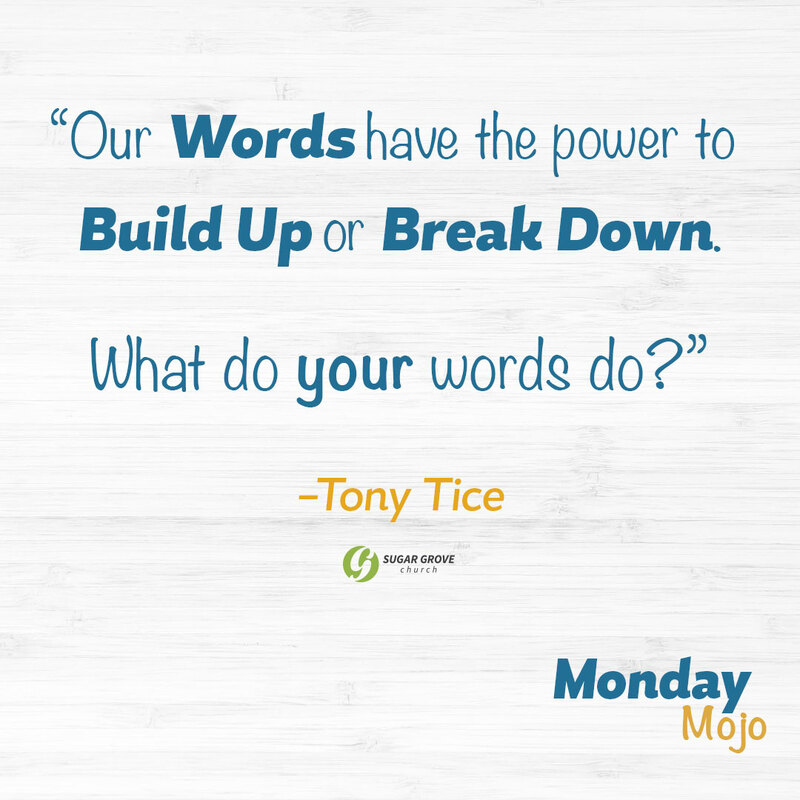 Make a goal this week, that everyday you are going to lift up one person with your words.